My husband loves music. We’ve gone to a few concerts together, but I’ve never gone with him to a music festival. This year, he asked me to go to the New York City Governor’s Ball (#nycgovball) which is a outdoor 3 day concert. I was quite scared. 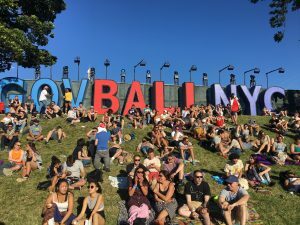 When I think of music festivals, all that comes to mind is that they are too loud, and they are full of 18-20 somethings that have drank/smoked too much talking about how “lit” that last song was. 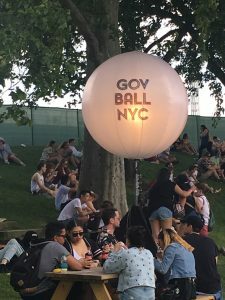 This was exactly the case at the NYC Gov Ball, however the event was actually a lot of fun and very well organized. 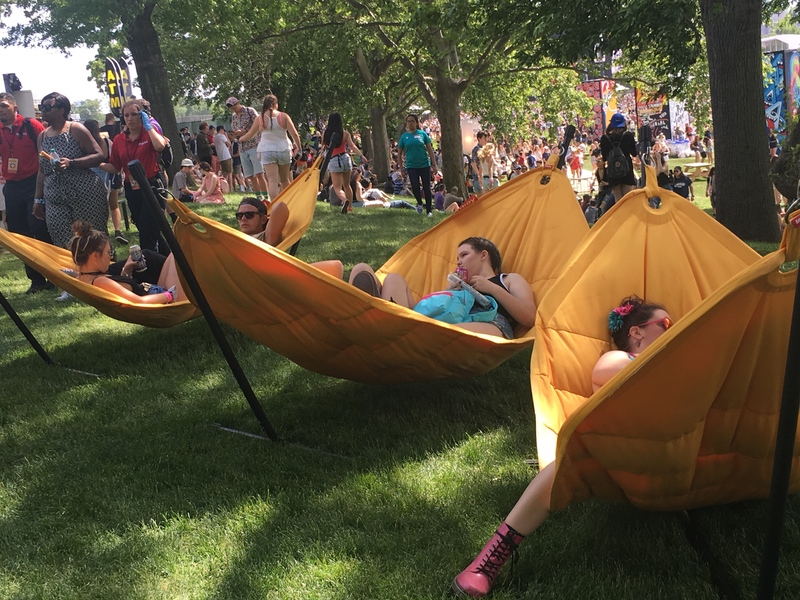 I had no idea a music festival could be classy, high tech, and relaxing. 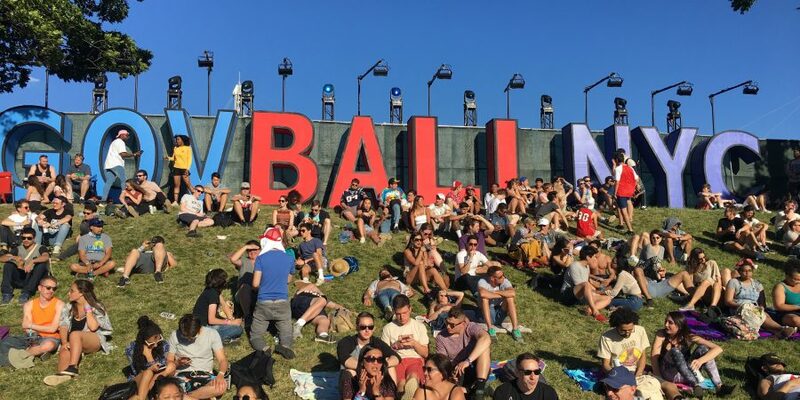 The event was held at Randall’s Island Park in NYC. The Gov Ball had performances quite a few artists, Chance the Rapper, Childish Gambino, Wu Tang Clan, and many more. One of my favorite areas at the event, was the 21 and over part. 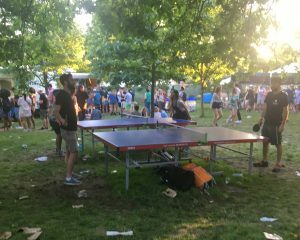 We got some time away from the real young folks and had picnic tables, food, games, photo booths and adult beverages all in one area. This area was a lot calmer and not too crowded. 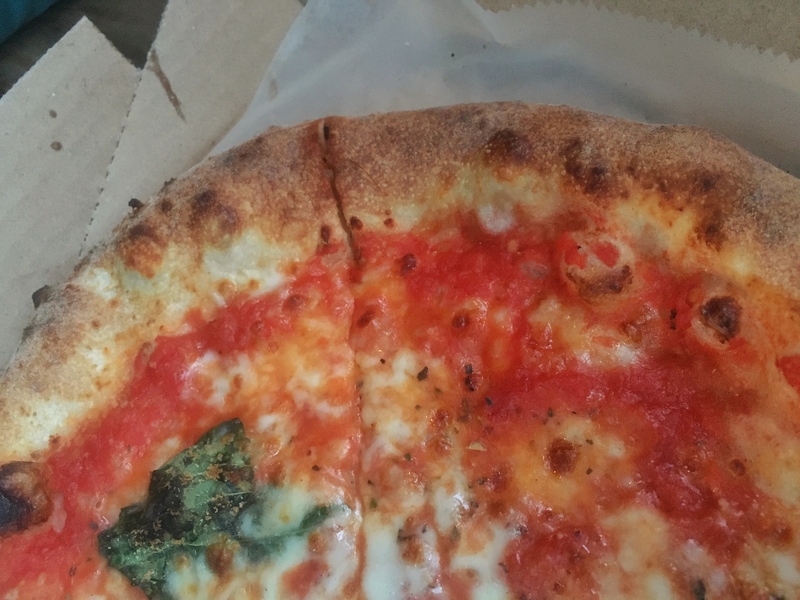 The area had its own food trucks and about 3 different bars. Of course, being a music festival there was tons of musical performances to listen to. 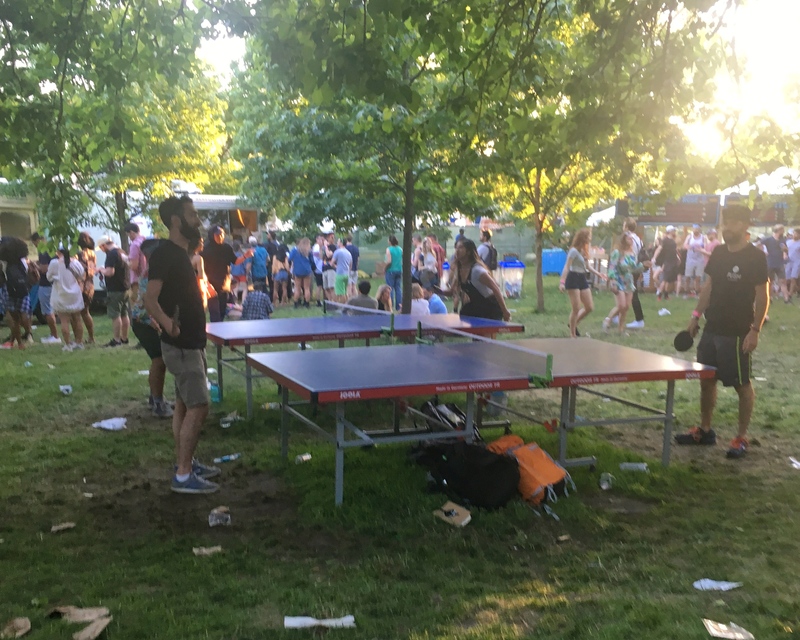 However, the venue also had ping pong tables, a giant jenga set, photo booth areas, and other games to play when you had some down time between performances. Randall’s Island Park is huge. Even with all the people at the concert there was tons of grass to sit down on. The space had hammocks to relax in and picnic tables. There were a lot of areas to relax in to take a break from standing on your feet. There were a few free water stations throughout the event that allowed you to fill up your water bottle or cup with water for free! It wasn’t cold but it was free! Definitely a nice touch with people being in the sun and drinking all day. 5. Helpful ways on transportation to and from the event. 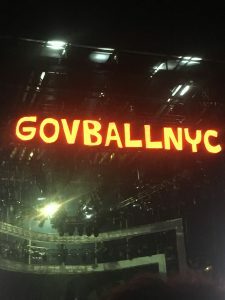 The concert did a great job of letting guests know all the ways to arrive and leave the concert. There was a Ferry that transported people to and from the 34th street stop. 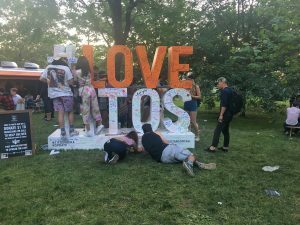 Also, guests could walk across the bridge, take the subway and then a shuttle to the event from 125th street as alternatives to taking driving. You could also take an Uber, Lyft or Taxi. The event had a page dedicated to transportation here. The cashless payments was by far one of the nicest touches at the event. 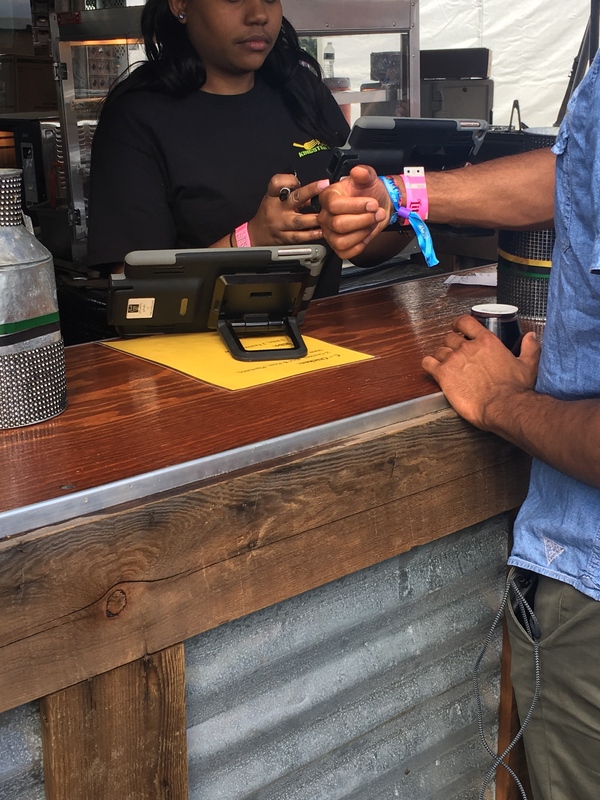 When you registered your bracelet to enter the concert, you had the option to add a credit card to your bracelet that could be scanned for payment when you are buying something from one of the vendors. It saved a lot time. The bracelet was quite tricky to remove at the end of the night, but you definitely didn’t have to worry about it falling off during the concert. The event was full of delicious snacks, meals, and desserts. There were tons of food vendors. 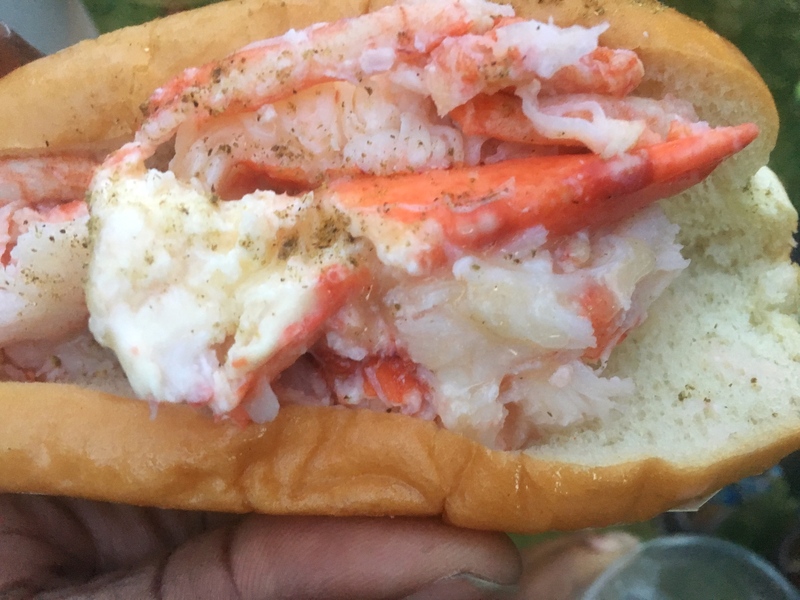 Everything from pizza, jerk chicken, Mexican food, lobster rolls, hotdogs to funnel cakes. 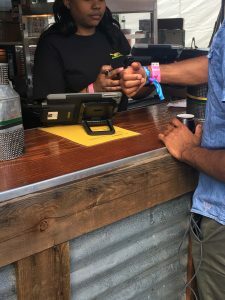 In addition to beer and wine, there were also bartenders on site serving different signature cocktails. Margherita pizza from Neapolitan Express Truck. Lobster Roll from Luke’s Lobster. 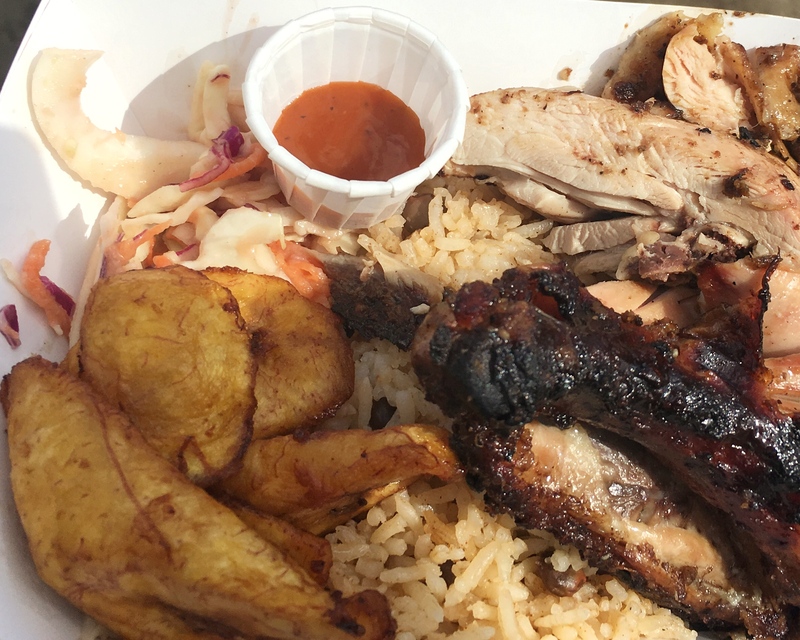 Jerk Chicken combo from Excell Kingston Eatery. Now portable potties are one of my biggest fears. I can’t stand using them and an event with SO many people I thought they would be absolutely disgusting and have VERY long lines to use them. Fortunately, they had tons of them all over the event space in different section. The lines to use the portable potty weren’t too long and they weren’t’ too disgusting, still gross but doable. There were 4 stages and multiple artists were performing at the same time, it was very nice that the stages and speakers were laid out in a way that you could only here the music from the stage you were currently standing at. Overall, most people at the event were just there to listen to some good music and enjoy themselves. The whole layout and organization had a great relaxed vibe. There were signs and maps setup at the event. As well as an app with all the details. 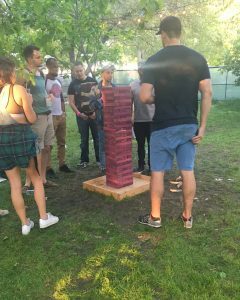 There was security and police on site to make sure everyone was safe.